Yongxing Boiler Group Co., Ltd. is a group company specializing in research, development, manufacturing, sales and installation services for various boilers and various thermal energy machinery and equipment. Yongxing Boiler occupies an area of 60,000m2, with fixed assets of 15 million dollars, and is used for more than 100 sets of large and medium-sized equipment for production. More than 60 sets of advanced equipment for product quality inspection, with 37 series. The boiler and pressure vessel contains 167 specifications and models. The ISO9001 international quality system certification and so on. Annual production capacity is over 2000 tons. Coal fired steam boilers, oil/gas steam boiler,hot water boilers, Thermal oil heaters, hot air furnace, oil/gas burners,chain grate accessories, and other environmentally friendly boilers and pressure vessels . 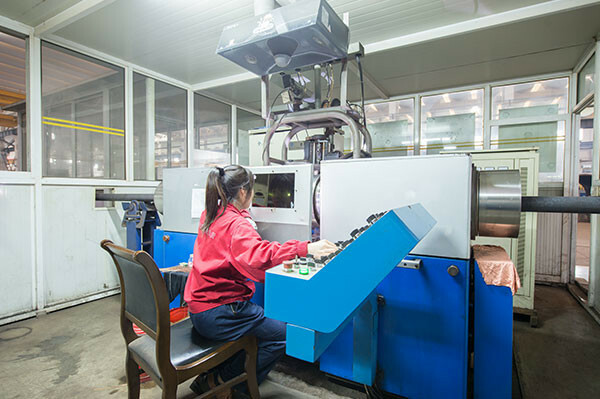 All the equipment are strictly enforced by the state and Industry standard, reasonable product design, advanced production technology, technical content in the country's similar products in a leading position, with compact structure, low noise, high thermal efficiency, safe and reliable operation, high degree of automation, etc. All environmental indicators are in line with the national class I regional environmental protection standards require excellent products recommended by the environmental protection department. 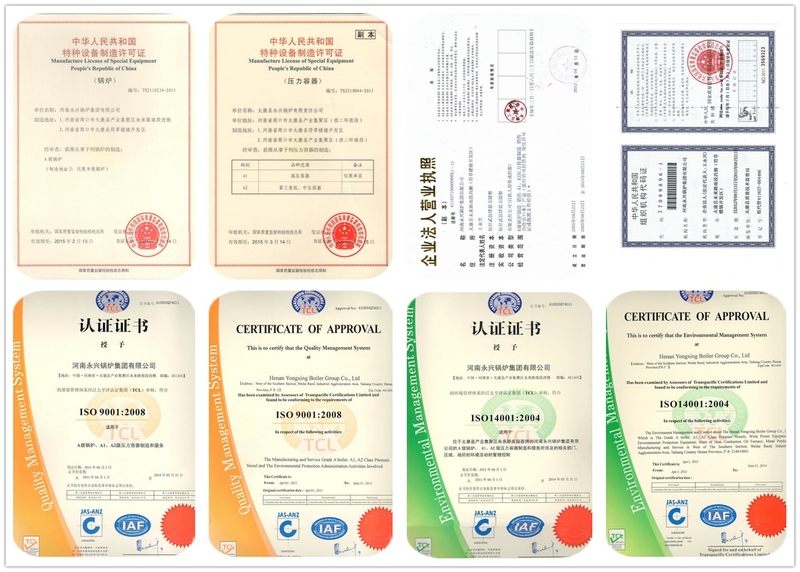 Our company holds A-class boiler manufacturing qualification, A1, A2 pressure vessel manufacturing qualification and mechanical and electrical equipment installation engineering professional contracting qualification, and passed the international ISO9001 2000 quality management system certification. Our company strictly follows the ISO9001 international quality management system guarantee model, carries out quality management and quality inspection and control activities, and the product quality is stable. It was rated as “Contract-honoring and Promise-keeping Enterprise” by the Henan Provincial Administration of Industry and Commerce, “National Honest and Law-abiding Enterprise” by the Ministry of Agriculture, and was included in the member unit by the China Quality and Technical Supervision Association, and has obtained a number of patented technologies.